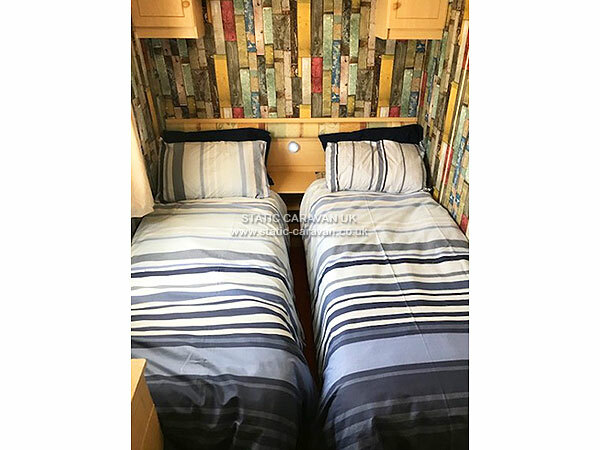 Our 35ft Altas Moonstone three bedroom caravan is only 5 minutes from Mablethope’s wonderful Blue Flag golden sandy beaches and just a short walk from bus routes and the town centre. 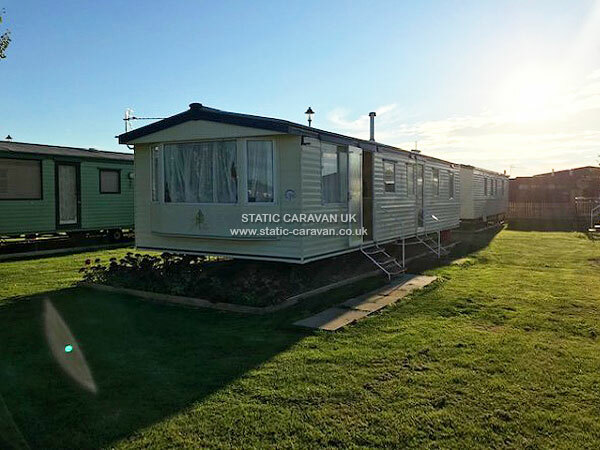 The caravan is positioned in the centre of Mablethorpe Caravan Park. The site boasts an onsite shop, restaurant and family friendly pub with regular free entertainment, amusements and children’s park area. 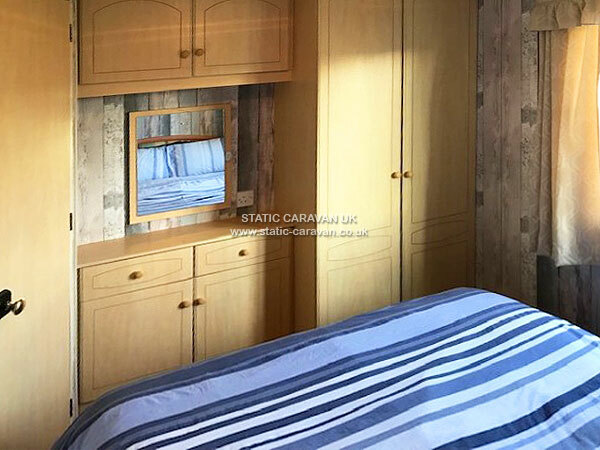 The caravan has three bedrooms (one double and two twins) all the fitted cupboards. 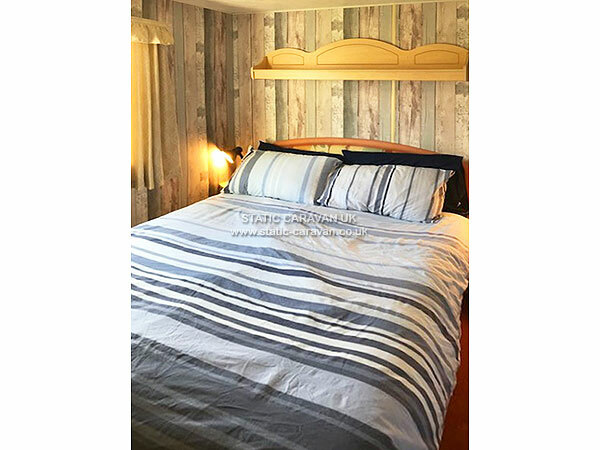 Duvets and bedding is all included in the hire fee. 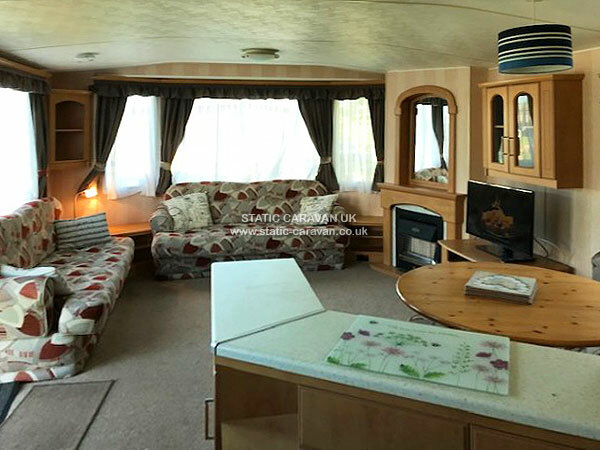 Large bright lounge area with plenty of comfy seating, fully fitted including gas fire, TV with DVD and free digital channels. Large dining area with table and seating. 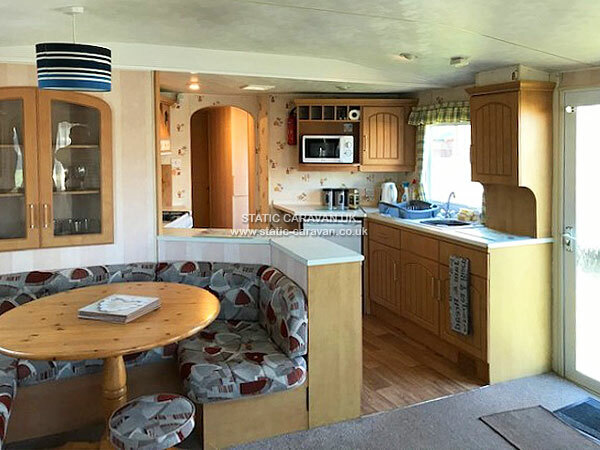 Large fully fitted modern kitchen including gas hob, grill and oven, sink, microwave, fridge, kettle, toaster, iron, cutlery, plates, cups etc.. Toilet with wash hand basin. 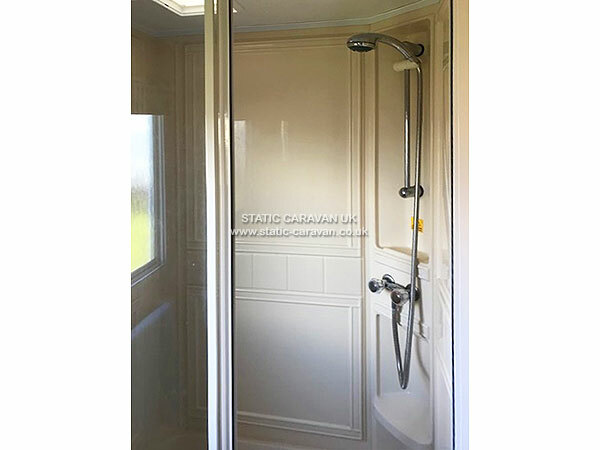 Separate shower room with enclosed shower and vanity sink with mirror. Convenient parking areas are close by. Please don’t park on the grass! Up to two well behaved dogs are welcome but please no dogs on sofas or beds, and no pets to be left unattended in the caravan, Please clean up after your dogs. 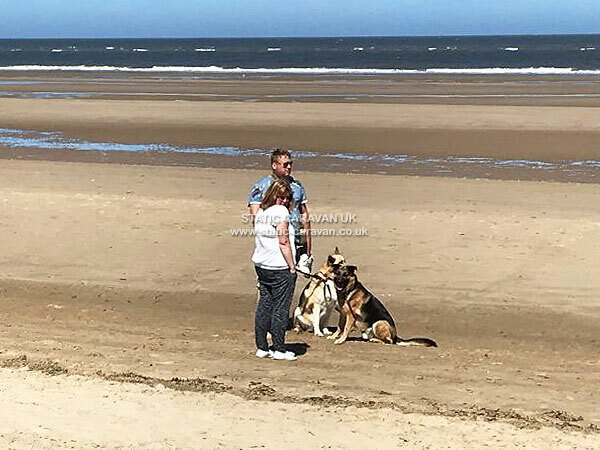 Mablethorpe is a traditional British seaside resort, family oriented, great beaches, good food, shops, markets, pubs, entertainment etc. 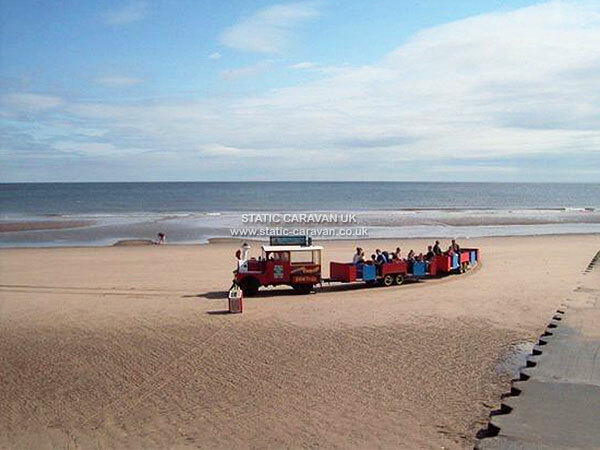 The town centre is 10 minutes walk from caravan park, or catch a bus of the famous sand train on the beach! 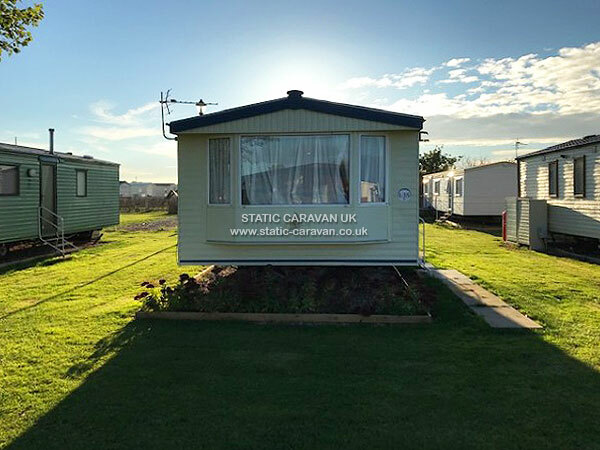 Further afield you can explore seaside resort of Skegness or the local market towns or Alford or Louth in half an hour, and an hour away is the city of Lincoln with its magnificent Cathedral, all accessible by car or bus routes from the town. Payment is preferably by PayPal or bank transfer but will accept a cheque if more than 6 weeks till your holiday. 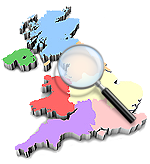 A £50 deposit/security bond is required to confirm your booking and must be recieved within 7 days of your booking or the booking may be re-let. 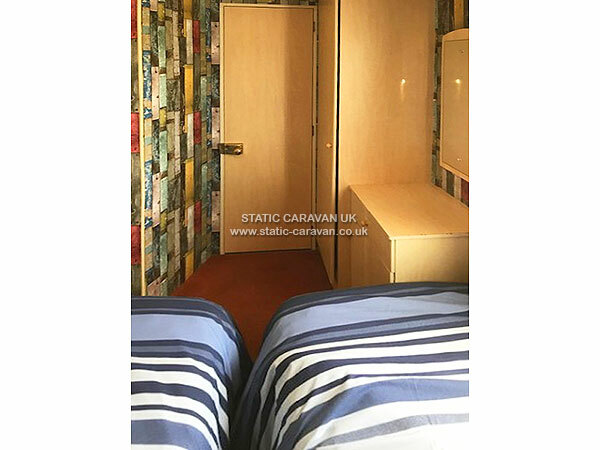 Your deposit /security bond will ONLY be returned after the caravan has been checked and that it is left how you found it, clean, tidy & no breakages or damage. Any evidence of smoking in the van will result in the loss of the bond. If you have to cancel your holiday you must telephone me in the first instance and NOTIFY ME IN WRITING within 3 days. The security deposit is non-refundable in the event of any cancellation. 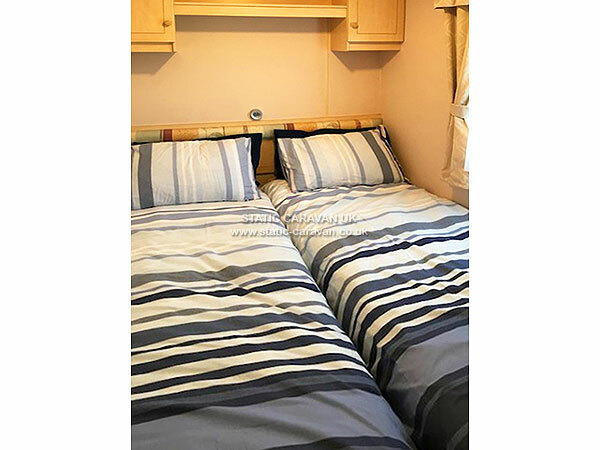 It is only refundable within 7 days of the end of your holiday, pending satisfactory caravan inspection. Cancellation up to 6 weeks prior to start of holiday; full refund of holiday payment, less security deposit. Cancellation from 6 to 4 weeks prior to start of holiday; 50% refund of holiday payment, less security deposit. Cancellation less than 4 weeks prior to start of holiday; no refund. If the balance of your holiday is not received by 6 weeks before the start of your holiday, it may be cancelled and re-let with no notification. The balance of your holiday is due 6 weeks before the start of your holiday. BOOKINGS WILL NOT BE ACCEPTED WITHOUT A COMPLETED AND SIGNED BOOKING FORM.